If you are a woman trying to get around metro-Detroit, you are likely paying extra to do so. 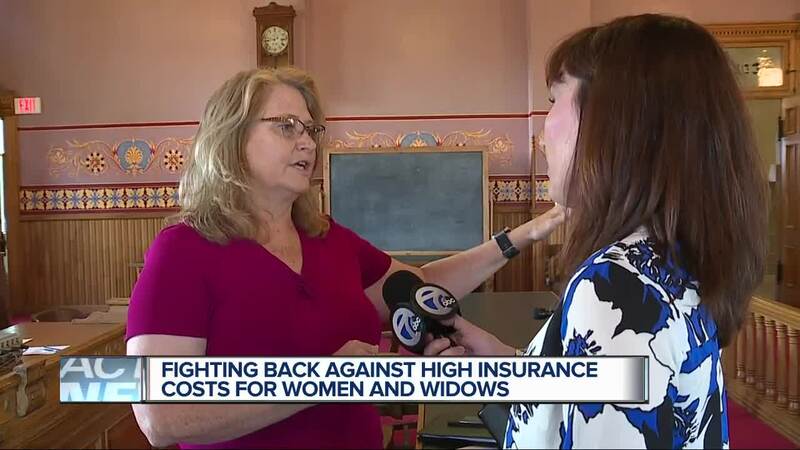 7 Action News exposed how car insurance companies are discriminating against women and widows, and after our investigation, you lit up our phones, filled email inboxes, and social media comments. If you are a woman trying to get around metro-Detroit, you are likely paying extra to do so. 7 Action News exposed how car insurance companies are discriminating against women and widows, and after our investigation, you lit up our phones, filled email inboxes, and social media comments. “This is just one more insult to injury,” said Leslie Ashley, who saw our story. Ashley says she and her husband enjoyed 34 years of marriage. Then four years ago he lost his life to an aneurysm. “We had a boat, motorcycle, an 82 Trans Am, his vehicle, my vehicle and we didn't pay over $1,200 a year,” said Ashley. Statistically, as Esurance will tell you on its website, men cause more accidents. Esurance did not explain why it quoted women 28% more than men in Michigan. A spokesperson from the State Insurance Commissioner’s office told 7 Action News that legal loopholes allow this in Michigan. There is a bill that would ban such discrimination, but House Insurance Committee Chair Lana Theis, who is running for State Senate, has refused to put it before her committee. She also refused to meet us for an interview, so we tracked her down. She told us she is not addressing discrimination because she is focused on no-fault reform. “The problem is not reallocating costs,” said Theis. Do campaign finance records show why she doesn’t want to regulate insurance companies? Theis has received thousands of dollars from insurance companies. Plus, a fund started by her husband received at least $80,000 from insurance companies. “I hope you never become a widow and have this happen to you,” said Ashley. Ashley says women need insurance to drive legally, so this is gender discrimination not just at the hands of insurance companies, but the government. She says she is speaking out for change.